Regent Court, #17, 80 feet Road, Kormangala, 4th Block, Bangalore - 560034, Karnataka, India. 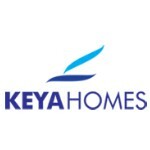 Since its inception in 2013, Keya Homes has been transforming lifestyles. The philosophy has always been to create homes that take man to the future by bringing nature and technology to man.A philosophy that's been brought to life withgreen projects, solar power and futuristic technology. This promise of sustainable living has been aptly complemented by smart designs and signature lifestyle choices. By nestling your every step with lush greenery and fresh air, we've restored the purity of nature. And by introducing your distinct tastes to contemporary amenities, we've created the future for you. But we haven't stopped there we've lent thoughtfulness to our creativity with a transparent, hands-on approach that combines the best of planning and execution to deliver uninhibited happiness.